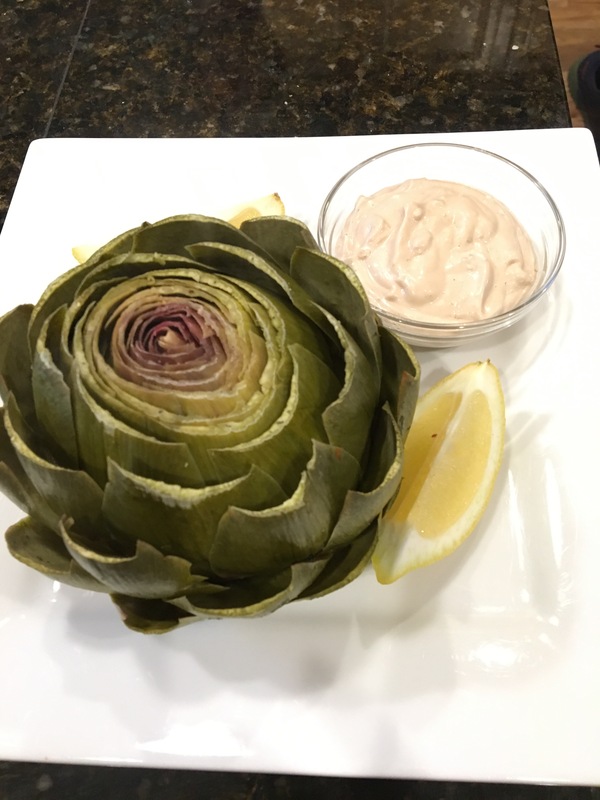 Steamed Artichoke with Garlic Aioli. Teen and Mom Approved. 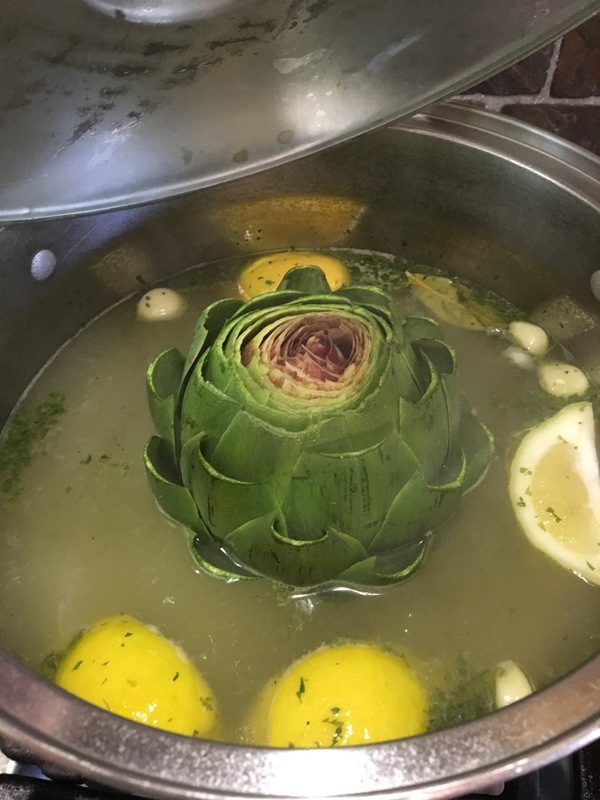 Add all ingredients in a stock pot and bring to a slow simmer. 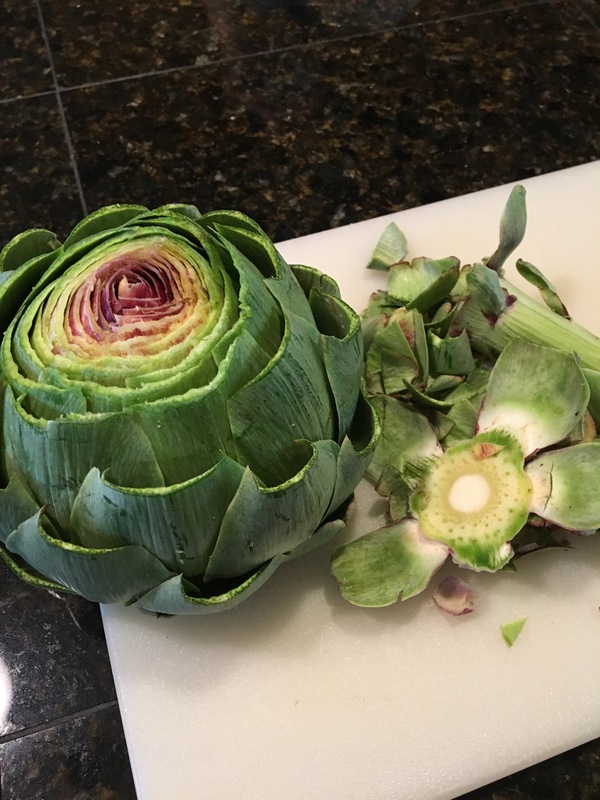 Meanwhile clean artichoke by trimming off stem and slice top with a clean cut. Then trim with scissors the sharp tips clean. 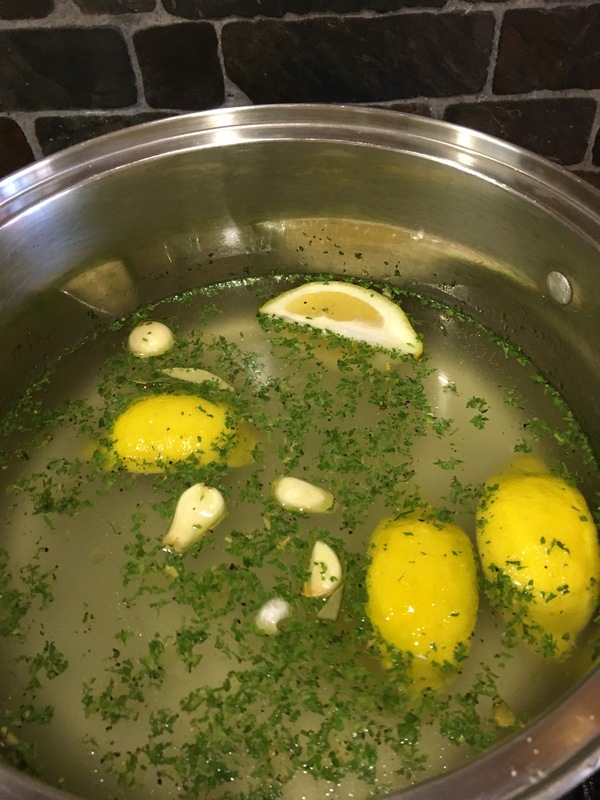 High simmer for 30-45 minutes til center sticks tender. Previous postTomato time-lets get canning! Salsa! Next postBlack skillet fried rice- thats whats cooking!